David is our Executive Producer. Prior to co-founding CineNova in 1990 with Jane Armstrong, his international experience included senior-management positions in public and private broadcasting, in management consulting, and in the private sector with P&G, McKinsey and Paramount. David has been Executive Producer on over 100 CineNova productions, all now in worldwide distribution. He leads CineNova’s financing and development process. Our co-founder & President, Jane is a director, producer and writer. Born and educated in England, her career in film and television began in England with ITV and Channel 4. She has ranged from documentary film, variety, and current affairs to children’s programming. But she is best known for her work on films in the fields of history, science, technology and factual entertainment for the international markets. 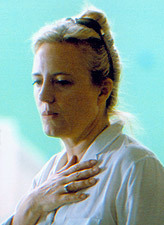 Among the most creative and productive filmmakers in the world, Jane has produced and directed about 100 films seen worldwide. Winner of numerous wards, she holds two science degrees from London University. 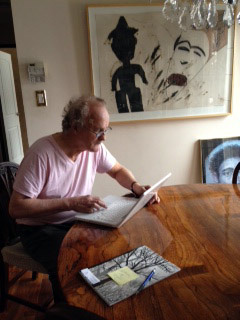 André has worked in the cultural and entertainment industry in Canada and abroad for over thirty years. He has led and managed creative, production and distribution divisions of public and private corporations in the film, television and digital industry in the private and public sectors, such as the NFB, IMAX Corporation and Just For Laughs. He has extensive experience in brand extension and alignment, strategic planning, the development and the exploitation of content on multiple platforms. He has also led multi-disciplinary international teams of large-scale international projects. He is working as Executive Producer and Producer. We have been producing international television in Canada for over 20 years. We have a wide network of leading creative and professional colleagues ... writers, directors, show runners & field producers; camera, sound & editors; composers, art department & CGI; lawyers, bankers, accountants & auditors. We fit the horses to courses for each project. We are always on the look-out for compatible co-production projects.